A research facility to study virtual environments. As virtual reality products and software become more available, the need for understanding these 3D spaces also increases. 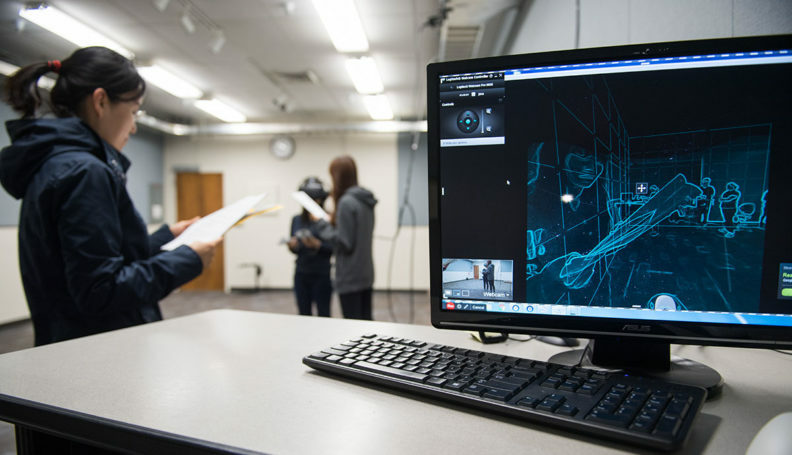 At Murrow College, students are conducting cutting edge research on how communicators most effectively use both augmented and virtual reality platforms. In particular, two research areas that are being focused on include environmental issues and political persuasion. Subjects may interact and engage with virtual animals and environments as part of the environmental VR research. They may also be immersed in political rallies to see how group dynamics in a virtual space might impact a person’s political views. Our VR lab features a full room-scale space that is equipped with the latest head-mounted devices, such as the HTC Vive.